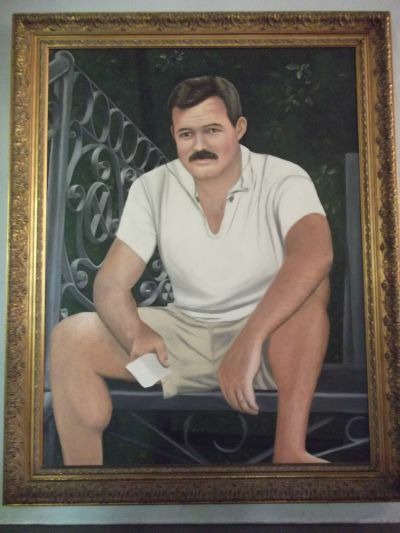 When we visited Key West, I noticed the Ernest Hemingway House Museum and suggested to my long-suffering husband that this could be our bit of “culture” for the day. Although I know of Hemingway, I’ve never read his books (I know. Big gasp.) but, other writers interest me and seeing their offices is always fascinating. 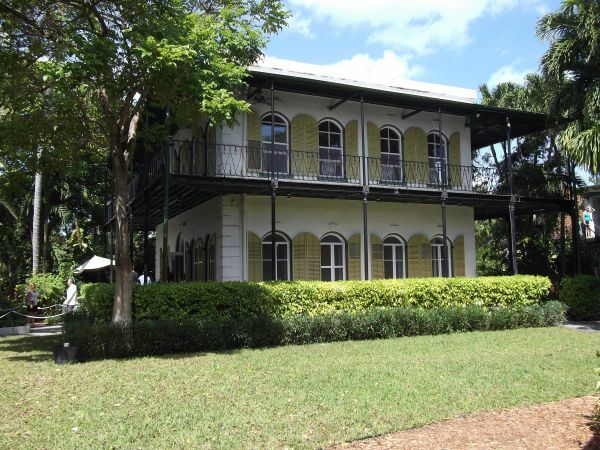 Ernest lived and wrote at his Key West house for around ten years. He purchased the property in 1931 after he and his wife fell in love with the area. 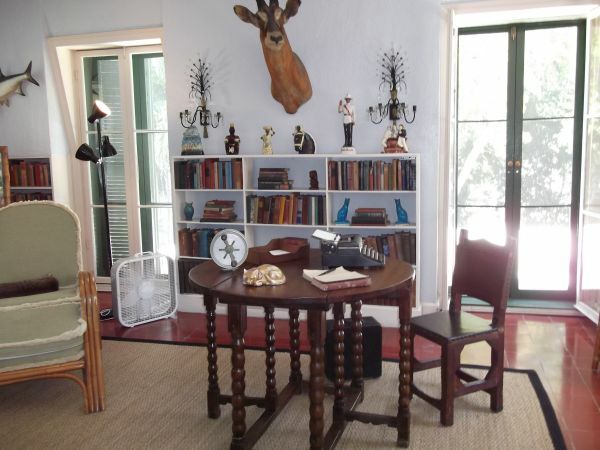 The house, as it stands now, is full of furniture collected by the Hemingway’s during their time in Europe plus paintings and copies of his book. 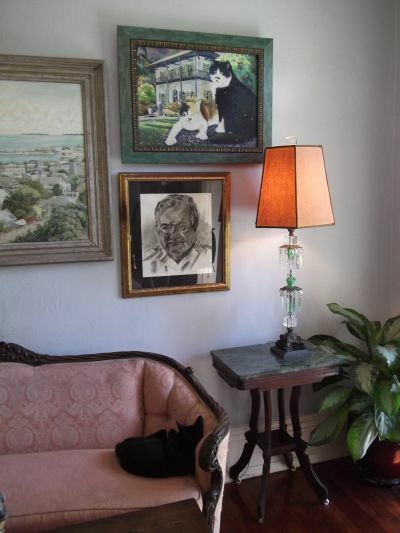 Descendants of Hemingway’s cats also have free run of the property. It’s said he acquired his original six-toed tom cat from a sea captain after he took a liking to the cat. He built a swimming pool at a cost of around $20000. Very expensive at the time and the only one in the area. There is a writing studio out the back of the house, which I adored. I wanted to move in and start writing straightaway. Hemingway divorced his wife Pauline in 1940 and moved to Cuba with his third wife, returning now and then to Key West until his death by suicide in 1961. 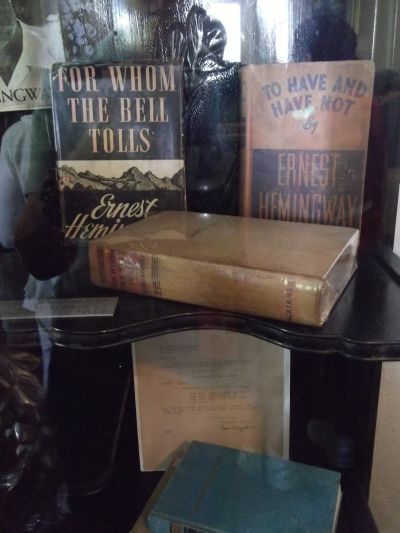 He was very productive during his time in Key West writing books such as A Farewell to Arms, For Whom the Bell Tolls, Death in the Afternoon, The Green Hills of Africa, To Have and Have Not and Islands in the Stream. 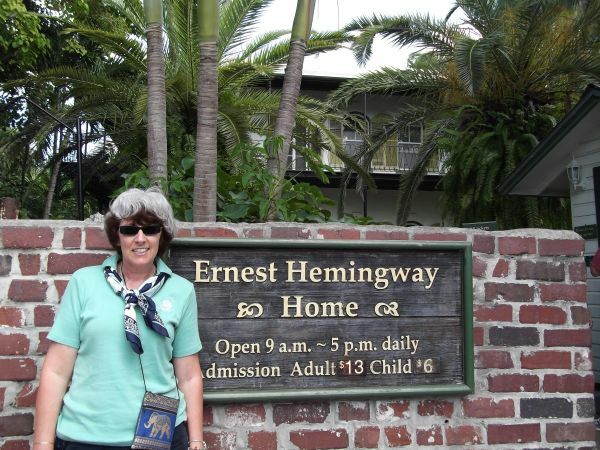 Me outside the Hemingway Museum. The front view of the house. 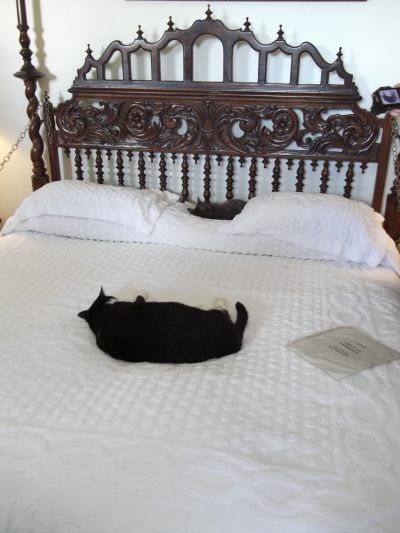 This is the main bedroom with one of the descendants of Hemingway’s cat. 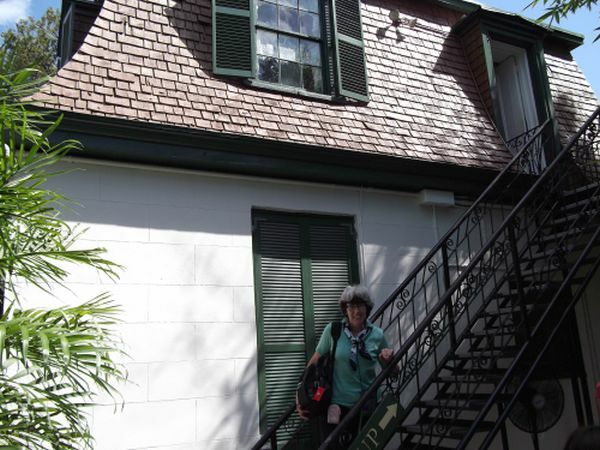 These are the stairs that lead up to Hemingway’s writing studio. 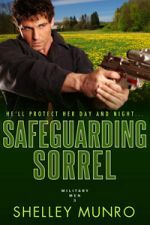 This entry was posted on Tuesday, April 3rd, 2018 at 1:11 am in Travel. 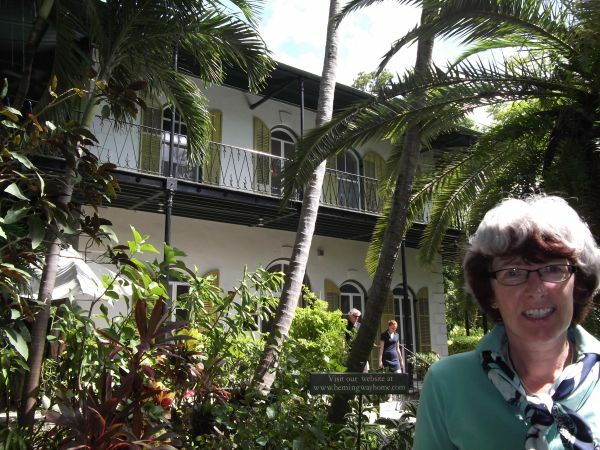 Tagged: cats, Florida, Hemingway, Key West, Travel, writing studio. You can feed this entry. Both comments and pings are currently closed. What a neat place to get to visit. It was interesting. I always enjoy peeking into writers’ lives.